“You came across me so many times, but you never saw me,” Christoph Waltz remarks in James Bond’s latest film, Spectre. Waltz’s character, Oberhauser, lives in the shadows, and if Waltz is asked about the mystery that surrounds him or Spectre (the evil organization he controls), he won't give a straight answer (trust us, we've tried). Waltz won't even acknowledge that his character is a villain, even though he is the villain of all villains in James Bond’s mythology. Sorry Goldfinger, but 007 has the longest history of clashing with Spectre. At long last, this film marks the return of this oh-so-secretive evil organization, which has been absent for several decades from Bond’s films due to a legal struggle for rights between MGM and holding company Danjaq. After digging into James Bond's mythology, let’s see what it can tell us about the current film Spectre. Also, we chat with Daniel Craig and Christoph Waltz about its future within the film series. Spectre originally stood for for Special Executive for Counter-intelligence, Terrorism, Revenge and Extortion, and it is Bond’s greatest adversary. Its strength relies on its members' absolute loyalty and success, where the price for failure is death via brutal means. This international terrorist organization is not aligned to any nation or political ideology. Through its various schemes it aims to create conflict among the powers that be, in the hopes of gaining control, power and influence - so Spectre would work with both sides in a world conflict. From its humble beginnings as a ring of criminals in Ian Fleming's novels, this group grows into a vast international commercial enterprise with its own island and even training facility. This organization makes its first appearance in the novel Thunderball and then in the movie Dr. No. Spectre may cause a continuity problem for Daniel Craig’s Bond, since his Bond encounters only the evil organization known as Quantum. However, this film features Mr. White, the Quantum representative from Casino Royale and Quantum of Solace, pointing to a possible connection between Quantum and Spectre. Maybe Quantum is a partner or division of Spectre. When Screen Rant visited the Spectre set earlier this year, the film’s producers stayed mum on any official word, but hinted at a connection. “We try to get the right blend of classic Bond with a contemporary twist and come up with new storylines,” Barbara Broccoli told us. 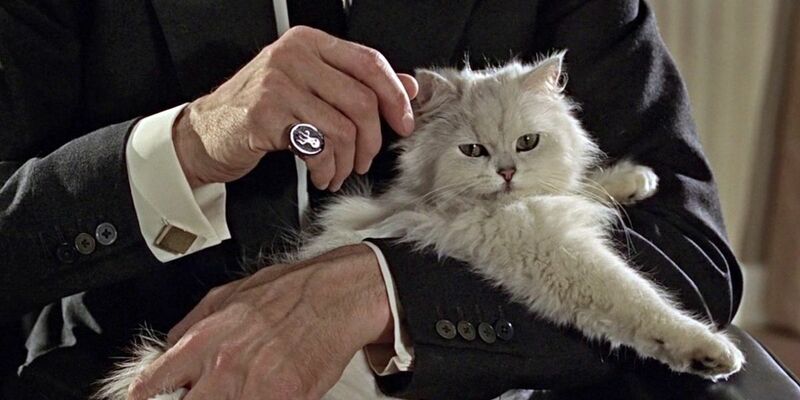 Spectre's founder and ruthless leader, referred to by his rank as "Number 1,” is Ernst Stavro Blofeld. 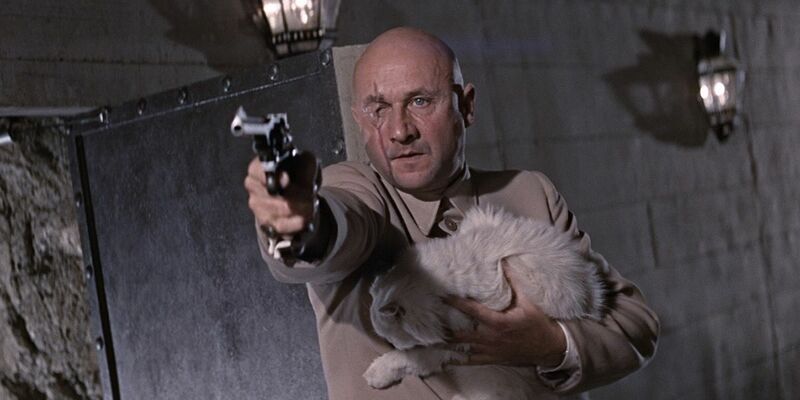 Blofeld is a criminal mastermind and primary antagonist and archenemy of 007. Created by Ian Fleming for Thunderball and expanded on by screenwriter Kevin McClory, this evil genius is cruel and unforgiving. As the chief of Spectre, he does not tolerate much; death is his punishment for failure and betrayal. This meticulous cat lover has formidable intellect driven by monetary gain. He is not insane, but certainly lacks a conscience and one could argue a heart or soul. A notable presence in the Bond films, Blofeld first appeared in 1963’s From Russia with Love and then in 1965’s Thunderball. During a twenty year span, he shows up in five more Bond films. Blofeld may have met his demise in For Your Eyes Only, when an unnamed character resembling Blofeld dies, but for legal reasons the name "Blofeld" could not be used. While Blofeld's background is not mentioned in the Bond films, Fleming reveals a few details in his novel “Thunderball” about this mastermind. For one, Fleming and the fictional Blofeld share the same birthday: May 28th 1908. Moreover, Fleming reveals that Blofeld was born in Poland to a Ernst George Blofeld and Maria Stavro Michelopoulos. Fleming initially envisioned Blofeld as a massively built man with black hair and eyes, but as Blofeld's desire for anonymity grew his appearance began to change in the novels. In the Bond films, Blofeld’s personality traits and appearance tend to change often. They typically conform to the actor who is playing him. This fits with Fleming’s literary interpretation of the character, who cherishes his anonymity and will do anything, like extreme surgery, to preserve it. He has been portrayed by a variety of actors: Donald Pleasence, Telly Savalas, Charles Gray, Max von Sydow and now Christoph Waltz. Nevertheless, there are staples of this character like his outfits. He often dons a Nehru style jacket or a Mao-like suit. Of course, there is his trademark ring and cat that he loves to pet. True to the ever-changing and secretive Blofeld, Waltz steps into the role of supreme Spectre leader and Bond’s ultimate nemesis. 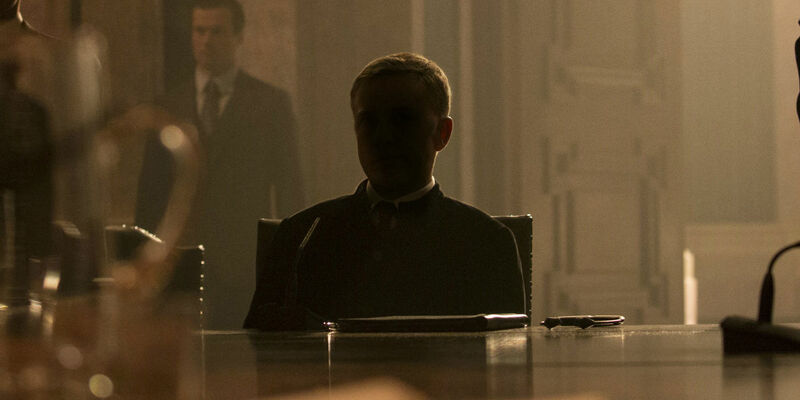 Though the film only appears to list Waltz’s character as Franz Oberhauser, the primary villain and leader of Spectre, all clues point to a connection between Oberhauser and Blofeld. With Waltz rocking Blofeld's trademark jacket, it would seem that these two might be one and the same, though you'll have to see the movie for yourself to find out. With much left to the imagination, we had to get the official word from Bond himself. So, we caught up with Daniel Craig to ask him about Spectre. He shared, “We want[ed] to celebrate Bond… It was always to get to this point where we could play around with the mythology… we have had a lot of fun doing this. We had a lot of fun bringing [back] some old ideas in [the film].” To our delight Craig seems to be confirming our theories about Spectre. We then asked him for his take on the future of this evil organization. Would this film mark the end of Spectre? Craig remarked, “Spectre never goes away. I think that is the deal.” Then we had to ask him about Waltz returning as its leader. Would Craig want Waltz to return, even though Blofeld mythology labels him as an ever changing chameleon? Craig answered, “I think Christoph has done a wonderful job in this movie. So I think a Bond movie would be incredibly lucky to have him in [it]…So I’d like to see him come back.” Here's hoping that Craig gets his way. Spectre is in theaters now.